Six prisoners are beaten senseless in their cells by cops crazed on alcohol. For the three LAPD detectives involved, it will expose the guilty secrets on which they have built their corrupt and violent careers. The novel takes these cops on a sprawling epic of brutal violence and the murderous seedy side of Hollywood. 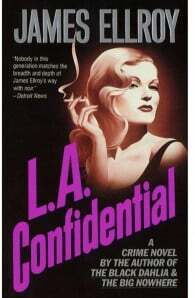 One of the best (and longest) crime novels ever written, it is the heart of Ellroy’s four-novel masterpiece, the LA Quartet, and an example of crime writing at its most powerful. 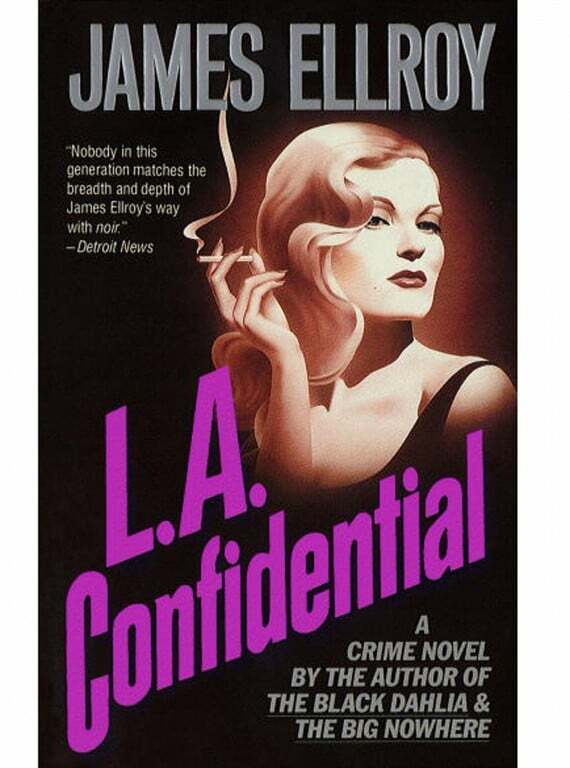 James Ellroy was born in Los Angeles, U.S.A., on the 4th of March 1948 and named Lee Earle Ellroy. His mother was a nurse and his father changed jobs frequently. In 1954 his parents divorced, and he moved to El Monte with his mother. She was murdered in 1958, when Ellroy was ten, and he moved in with his father. Ellroy went to high school in Fairfax, where he set out to seek attention by espousing pro Nazi rhetoric, critisising JFK, and advocating the reintroduction of slavery. He spent most of his teen years obsessively reading crime fiction and shoplifting. Towards the end of his high school education his father suffered from a stroke and Ellroy became his caregiver. Shortly after his father’s stroke, Ellroy was expelled for advocating Nazism. He joined the army, but worried about his father and realising that he wasn’t cut out for army life he faked a stutter, displayed himself unfit for combat, and managed to get himself a dishonourable discharge. His father died shortly after his return. Ellroy was placed in juvenile detention after getting caught stealing a steak and was placed under the guardianship of a friend’s father. When he turned eighteen, he was turned out onto the streets and lived in parks and charity bins. He broke into girls houses, read crime novels, drank, and used drugs, particularly Benzedrex. He was jailed for breaking into empty apartments to live and got a job in an adult bookstore. His alcohol and Benzedrex use deteriorated his health to the point where he nearly developed schizophrenia, suffered post-alcohol brain syndrome, and developed severe pneumonia twice. He decided enough was enough, joined AA, got a job as a golf caddy, and wrote and sold his first novel and the age of thirty. Ellroy currently lives in Kansas.